Want to travel to the Far East and get a taste of the delectable Japanese cuisine? Or maybe jumping to Europe to dine in the quaint Italian cafes? How about diving straight into the spicy and flavourful South American Argentinian gastronomy? Jeddah has got you covered with its extensive list of restaurants that give you a taste of international major dining experiences while staying in one city. The Italian experience here is authentic and upscale; staying true to the European vibes. The chefs are international and will make sure your pizza tastes like it’s coming straight out of an oven in Naples. Indulge in a spectacular culinary experience here while the Indian aromas take over your sensory buds. The food combines both ancient recipes and modern cooking methods, while all the ingredients are sourced from Mumbai to stay true to the cuisine. Hidden in Assila Hotel, this Argentinian getaway is the perfect adventure for you and your friends. Spiced meat, fresh ceviche, tapas, and all the South American delights in one place. You can also have a private dining experience in this gorgeous setup. Considered one of the best French cuisines in the country, La Traiteur transforms you to Paris with one taste. The design, the staff, the atmosphere, and of course the culinary experience, are exquisite and designed to make visitors come back for more. 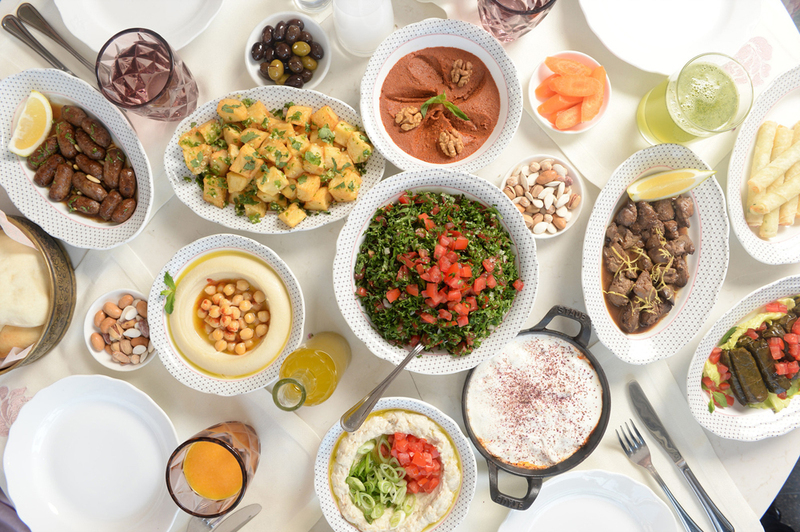 With branches in the UAE, Saudi Arabia, and Lebanon, this restaurant specializes in the award-winning Lebanese cuisine. From breakfast to dinner, all your Mediterranean craving will be satisfied. Cheese and thyme manakish and minced meat pastries are just the start of the story at Leila. Would this list even be complete without a Benihana? Their kitchen is your table, and what a table it is. Expertise, show, professionalism, and authenticity, Benihana manages to capture everything the Japanese cuisine stands for. You’re in for a unique treat at this place.